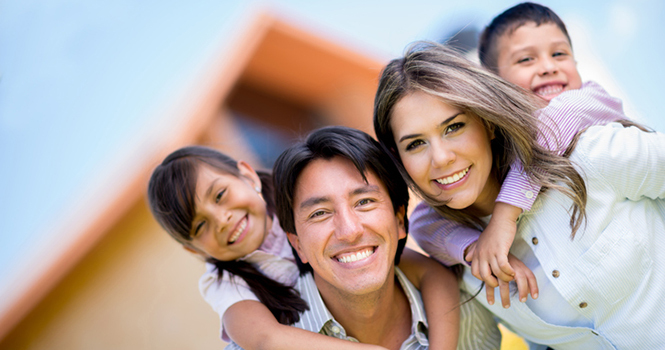 Hispanics are a dominating force in homeownership, closing in on their pre-downturn homeownership rate sooner than the U.S. as a whole, according to the annual National Association of Hispanic Real Estate Professionals (NAHREP) report. The Hispanic homeownership rate increased to 46.2 percent in 2017—just 3.5 percent away from the 49.7 percent it was in 2007, prior to the recession. To compare, though the country’s homeownership rate increased to 63.9 percent in 2017, it remains 4.2 percent under the 68.1 percent it was 10 years ago. According to the report, last year marked the third straight year Hispanics grew their homeownership rate—the only demographic group to make a three-peat. Commingling factors are at play. The Hispanic population is skyrocketing, expanded last year by 1.1 million to now 58.6 million, and expected to rise to 119 million by 2060. Another six million Hispanic households alone are expected to materialize by 2024. Hispanics also have a higher labor force participation rate (66.1 percent) than every other demographic, the report shows, and their purchasing power totals $2.13 trillion. Beyond broader economic indicators, 30 percent of Hispanics are millennials (entering their home-buying years), and 60 percent of Hispanic households with married occupants are comprised of at least two parents and one child—an influence on the likelihood they’ll move to own. Additionally, the desire for a home of their own is palpable. Eighty-one percent of Hispanics believe homeownership is a good investment long-term, and 88 percent believe that, in the future, they are more likely to be homeowners than renters. Twenty-five percent believe buying a home is ideal now. Hispanics, however, are concentrated in California (15.3 million), Florida (5.1 million) and Texas (10.9 million)—three states with fast-growing home prices and shorter supply. Even with above-average homeownership rates in Florida (50.9 percent) and Texas (56.5 percent), these constraints curbed progress, the report states. California, Florida and Texas were also greatly impacted by natural disasters in 2017, and have considerable DACA (Deferred Action for Childhood Arrivals) grantees. According to the report, of the DACA program’s 800,000 recipients, 25.7 percent live in California, 5.2 percent live in Florida, and 14.1 percent live in Texas. These challenges—few housing options, unknowns related to status and the unpredictability of storms—are headwinds for a group otherwise profoundly shaping the economy and housing market. “The continued shortage of affordable housing inventory, coupled with prolonged natural disasters concentrated in the nation’s most populous Latino states and increasing uncertainty over immigration policy, have created significant hurdles for Latino homeownership and economic saliency,” the report states. The State of Hispanic Homeownership Report® is published by the National Association of Hispanic Real Estate Professionals® (NAHREP®) and the Hispanic Wealth Project™ (HWP™). For more information, please visit www.nahrep.org.